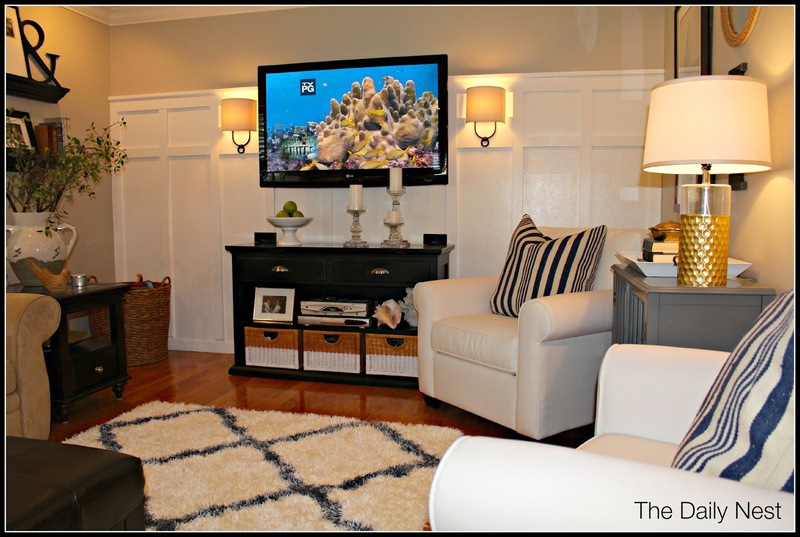 New Updates To The Living Room! 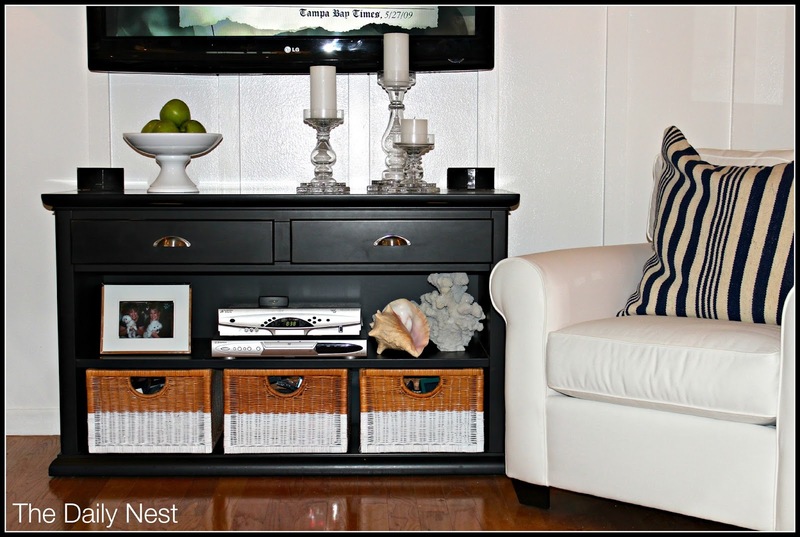 The Daily Nest: New Updates To The Living Room! New Updates To The Living Room! A little bit at a time…This is my mantra! I've been working on the living room side for a little while now. One thing I wanted to do was give my T.V. console a wee bit of an update. I thought about painting it and still might in the future. But for now this is what I've done. I really like all the dip-dyed baskets that are out there now. So I thought I'd give it a try, and it turned out great! I painted the baskets, changed out the handles to something with more shine and weight. 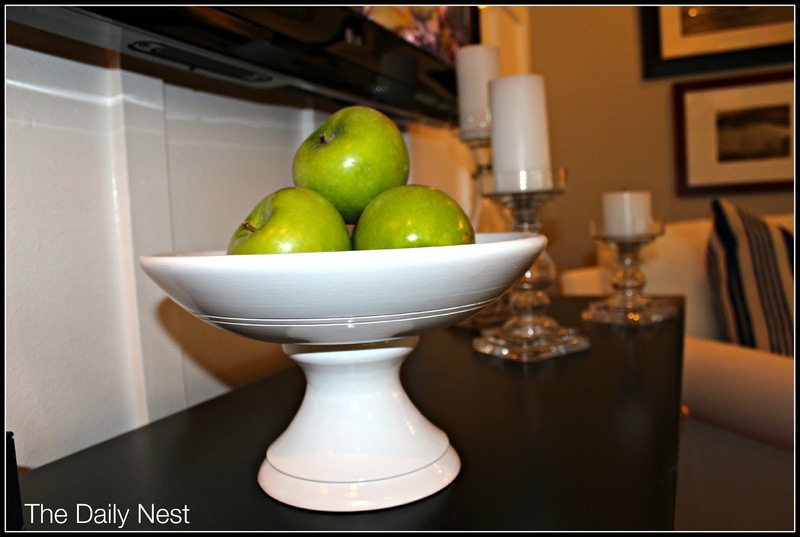 Then I sprayed a little wooden bowl white, and added green apples to give it a pop of color. So easy to do, I just taped off where I wanted my stripe. And spray away!! It's amazing what a little spray paint can do for something that you've had forever! 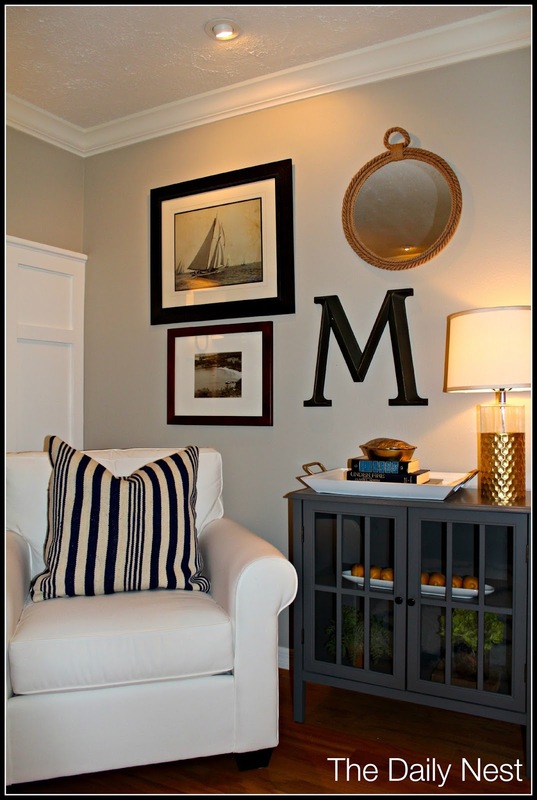 Next I added a little gallery wall above my new white chairs and I love it! 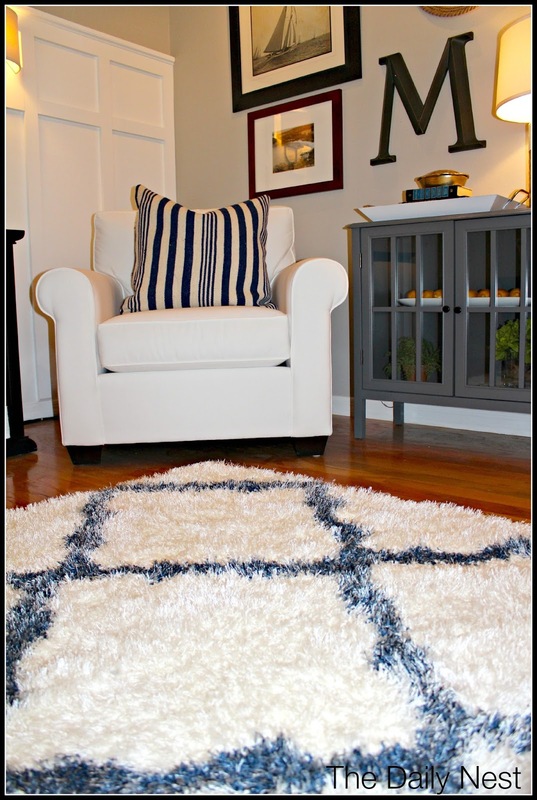 Next I finally decided on the area rug for this space. 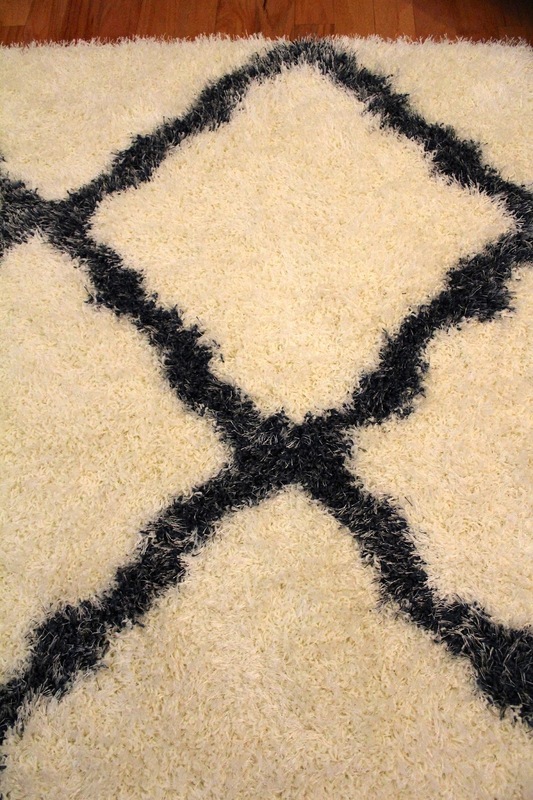 It's the Moroccan Trellis Wool Rug From Overstock. You would have to feel this to believe it! And I feel like it was a good price as well! It's the softest rug ever! It's an off white cream with a navy trellis design. 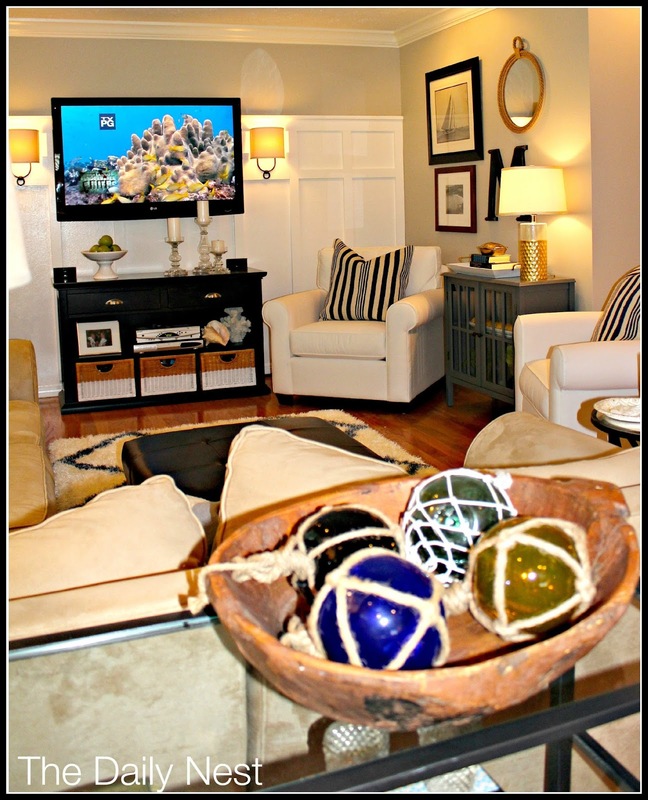 It adds a "WOW" factor to the room! I just want to take my shoes off and walk on it all day! It's that soft! Ok enough about the dang rug!! Last but not least, we found a cute new store in our area that sells modern vintage things and I must say It's now one of my favorite stores! I bought this dough bowl and antique Japanese floats to continue my coastal look. I got them at a great price! I hope you enjoyed seeing my new updates! I'd love to hear what you've been up to! !